In April 2013, the Department for Business, Innovation and Skills (BIS) presented a winding up petition to close down the business in the public interest. However, despite six court hearings the issue still hasn’t been resolved. The Secretary of State has been caught in a lengthy legal wrangle as it seeks to close down PLT Anti-Marketing Ltd, because it believes the company is misleading consumers by charging for offering a service that stops cold-calling and junk mail using services that cost nothing to sign up to (known more commonly as the Telephone Preference Service and Mail Preference Service). PLT Anti-Marketing charges between £4 a month and £79.99 for a 'lifetime registration' to stop junk mail and unwanted telephone calls, but the same service is provided free by official organisations. Moreover, how can any credible limited company offer a 'lifetime' promise on anything especially one that, from its 2013 accounts, lost 99% of its profit reserves and brought the company perilously close to bankruptcy. Now a court of appeal judge has questioned whether PLT’s practice is unlawful after all. It was suggested that regulations do not require a trader to inform a consumer about the availability of cheaper alternative services (which is simply legal speak to say that they are potentially free to re-sell services deliberately offered to consumers for free and charge for doing so by making those consumers believe that a charge exists for the service, period). 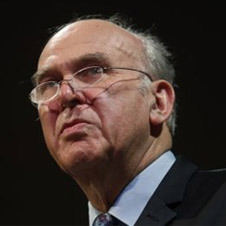 Lord Justice Briggs quashed a judge’s earlier finding that PLT breached consumer regulations, but called for a full trial. When customers sign up with PLT, it registers their names with the Telephone Preference Service (TPS) and the Mail Preference Service (MPS), for a monthly, annual or 'lifetime' charge. But these are services that can both be signed up to free of charge. PLT offers its customers a complaint service to deal with any companies persisting with calls or mailings, but so does the TPS and MPS. With PLT's profits falling so dramatically one has to ask exactly how they would propose to provide such an effective service as that already provided by the official TPS and MPS. BIS’s winding up petition states: “PLT trades in breach of Regulation 6 of the [consumer protection from unfair trading regulations 2008 (CPUTR)] by failing to inform members of the public (prior to entering into a contract with those individuals and requiring payment) that those individuals can obtain a service similar to the one offered by the company free of charge through registration with the TPS and MPS.” Moreover, those consumers can obtain the exact same service as PLT would end up signing them up to, for free. The BIS started investigating PLT in October 2012, but one judge noted that its practices had been a “live issue” since at least March 2010. To avoid being wound up, PLT gave a court undertaking in May 2013 that it would not continue with its business without telling potential customers (which it cold-calls itself) that the free service was available. In a hearing at the Manchester district registry in October 2013, Judge Hodge QC said PLT’s practice was in breach of the regulations, which say there should be no “misleading omissions” harming consumers’ economic interests when firms sell them services. It goes without saying that PLT's very business strategy is built upon omissions. For those of you unsure at this point, Judge Hodge is basically saying that whilst PLT are clearly ripping off consumers and deceiving them into paying for a service that is offered free by the official organisations, maybe that's not so bad after all. Unbelievable! No wonder so many have lost faith in the UK legal system! A full trial has been held up whilst PLT tries to have the 2013 undertaking lifted and a modified version put in its place. PLT wants to have its sales team say that it uses the TPS and MPS, but still not be required to tell potential customers that they are free services. In the court of appeal judgment issued this month, the judge refused to allow that. But he said there was no regulation requiring a company to tell customers how much of a “mark-up” it made or where a cheaper service could be found. He called for the matter to go to a full trial, saying the issue of whether failure to give customers the information was in breach of regulation 6 needed the intense forensic analysis only achievable at trial. "The company declined the opportunity of an early trial and chose instead to pursue a preliminary issue arising from an allegation in the petition [lifting the undertaking]." PLT’s solicitors were asked for a comment, but failed to respond. 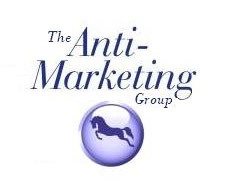 If you know anyone who has been taken for a ride by PLT Anti-Marketing, then pass the news on and get them to cancel their registration and if anyone has any call recordings of the sale process undertaken by PLT, please send them to us.